Chicago has long been a testing ground for Broadway-bound shows. In December 1944, a little-known playwright by the name of Tennessee Williams held auditions for his first major work in Chicago. The play was called “The Glass Menagerie” and after a shaky start at the Civic Opera House, it went on to become one of most important works in American theater. It’s the musical version of the hit 1982 movie “Tootsie” in which Michael Dorsey (played by Dustin Hoffman) becomes a sensation after the too-difficult-to-work-with actor dons a wig and a dress to land a role in a TV soap opera. Thirty-six years later, with soap operas no longer a dominant force on television, the song-and-dance version of “Tootsie” centers around the title character trying get work in the theater. 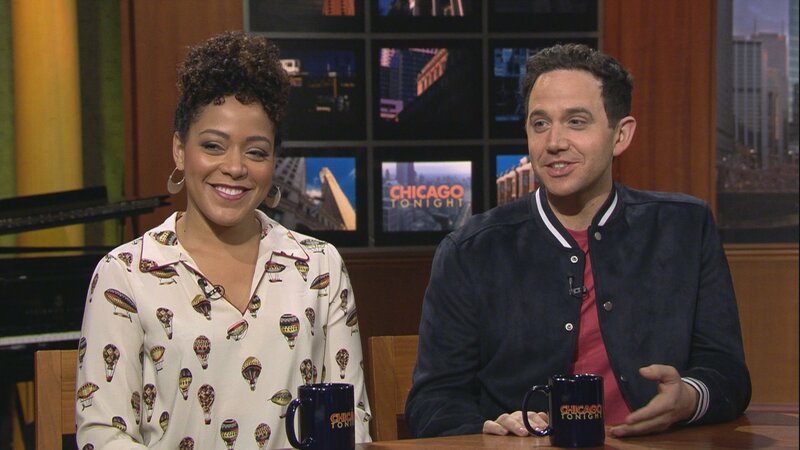 Dorsey (and his female creation, Dorothy Michaels) is played by Santino Fontana, who was born the year the film version of “Tootsie” was released. On the challenges of the role, Fontana jokingly says the toughest part is the amount of shaving he needs to do to transform from the obnoxious Dorsey to the enchanting Michaels. Fontana and Cooper tell us more about their new show and busy careers. Meanwhile, “Tootsie” is slated to open on Broadway in April of next year.